Are you a business owner in Bali? Promote your business 365 days a year with the #1 Guide to Bali. Grand Istana Rama Hotel Bali is within walking distance of the many shops of Kuta Square and entertainment venues of Jalan Legian. 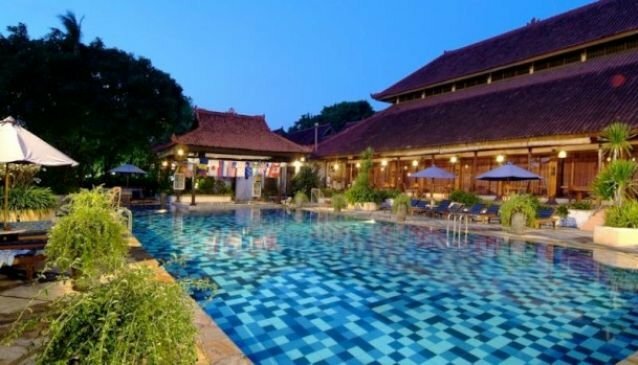 This #Bali hotel has 150 renovated rooms consist of superior and bungalows, sets in 1.7 hectares of lush tropical gardens for your delightful accommodation in Bali. 16 Standard Room, 66 Superior Upper Floor and 44 Superior Ground Floor room measure 30 square meters, 12 Deluxe Room measures 40 square meters, 11 Garden Suites Room measures 45 meters. Dining: Samudera All Day Dining - 06.30 am to 11.00 pm. Rama Meeting Room can cater for up to 200 attendees for small conferences, gatherings, receptions and meetings in Bali.